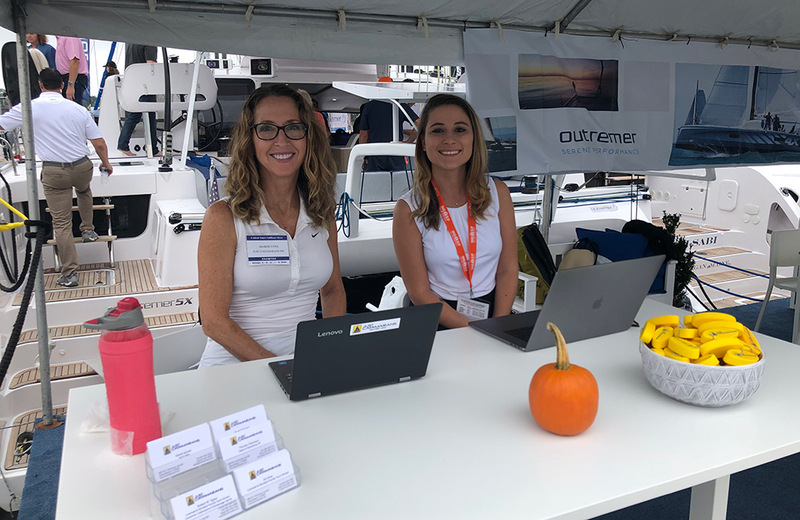 Outremer Yachting completed another successful Annapolis Sail Boat Show at City Dock – Annapolis, Maryland. Just Catamarans thanks all our clients and the entire Annapolis Show staff that made the show a success. 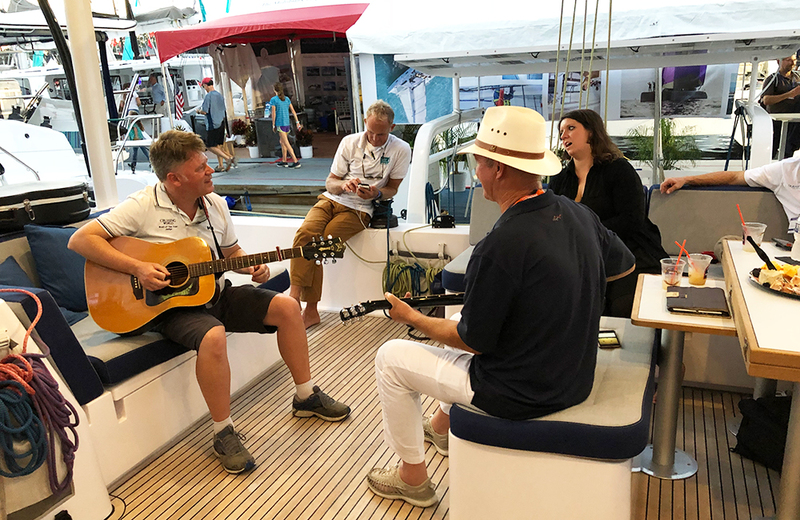 The Just Catamarans team of Derek Escher, Jim Ross, Kent Grimbeek, Robert Taylor, Stuart Eichner and Thomas Chambers attended the show to help Outremer clients who traveled from all part of the country. 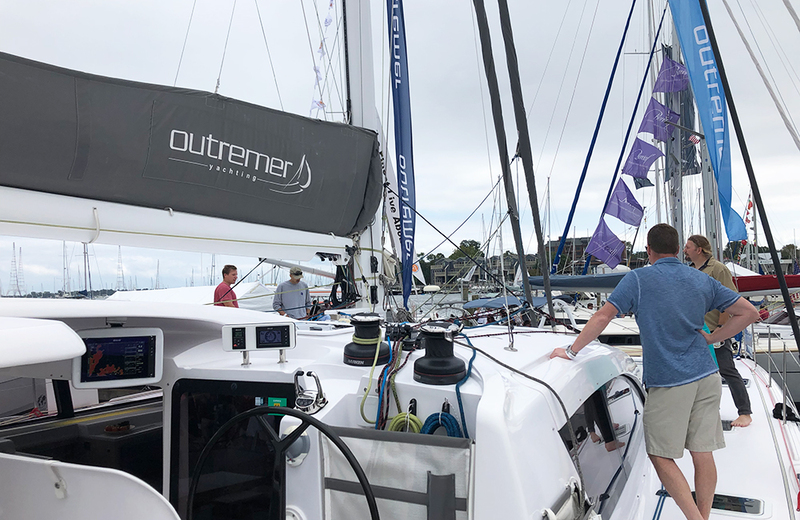 Just Catamarans has an Outremer 5X on display. 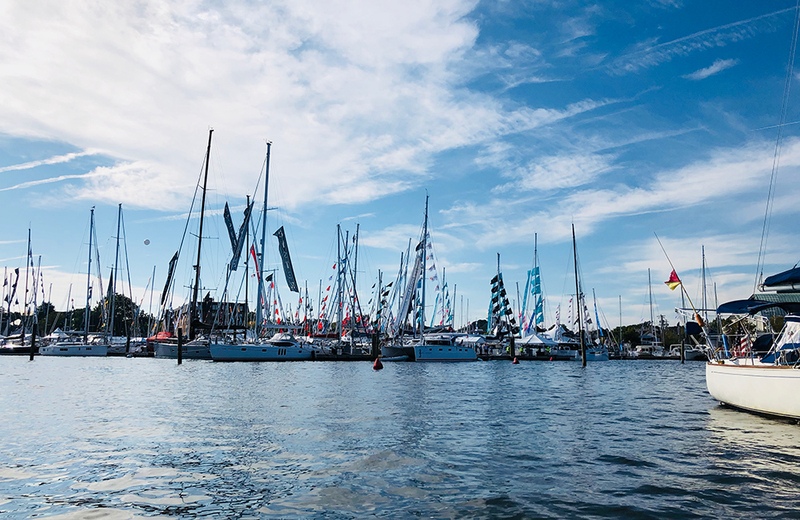 The show was held October 4th through October 8th with excellent weather, and many fun memories, educating clients on the brand, talking service, overall yachting outlooks, and more. On Friday, broker Derek Escher participated in a panel, hosted by Cruising World. 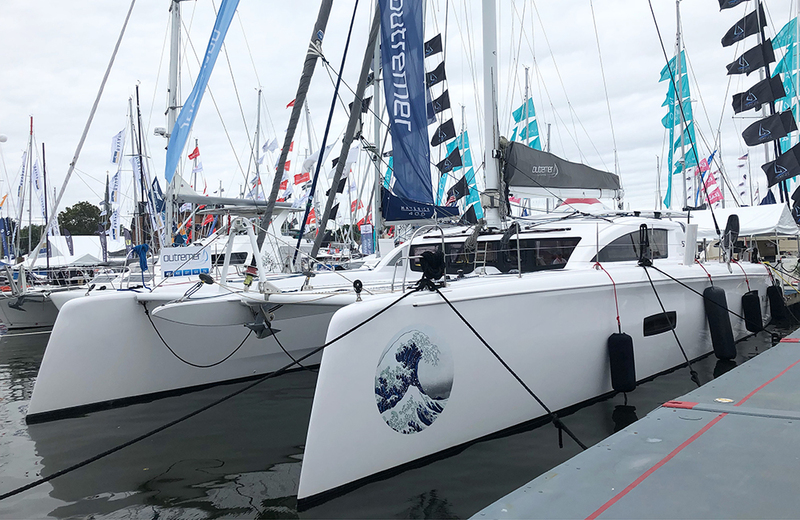 The Outremer 5X Catamaran, WABI SABI, was a hit at the show, showing off at Dock C alongside a Catana 53, HH Catamarans 55, amongst others. 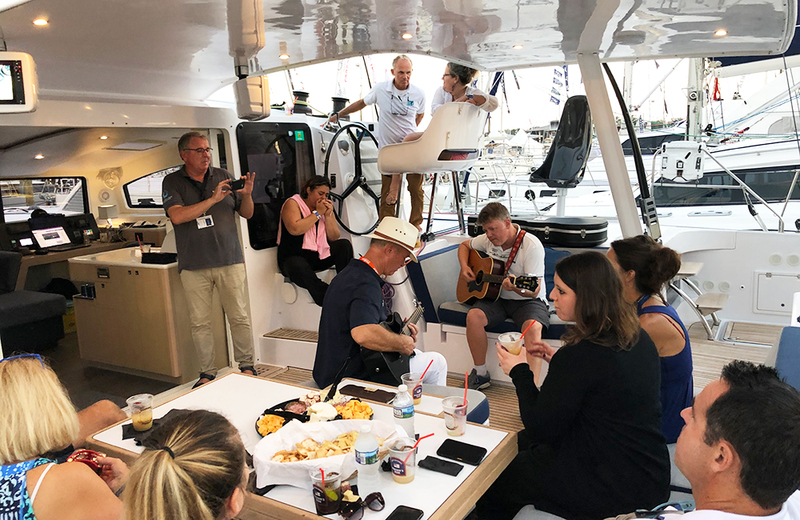 On Sunday, New England broker Derek Escher brought out his guitar to perform with yachting friends to a crowd of clients and friends alike. 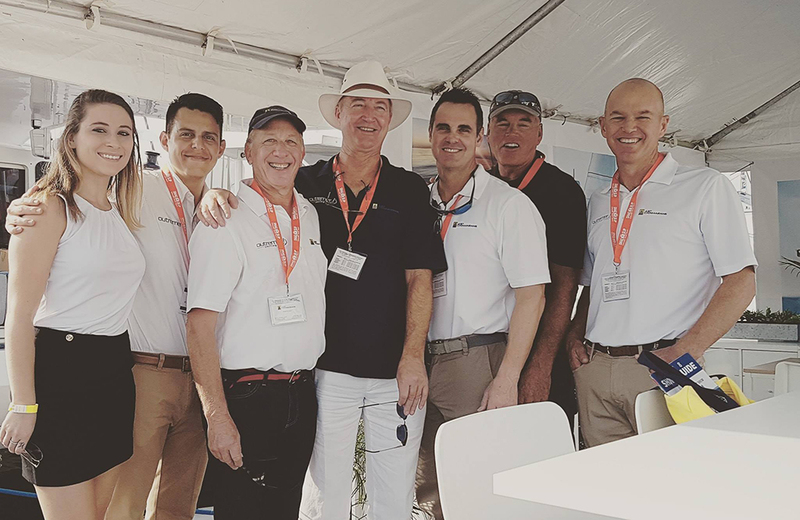 The Just Catamarans team enjoyed the week in Annapolis and grew closer as a team, excited to help clients at the 2019 Annapolis Boat Show. With Boat Show season in full effect, Just Catamarans will next have boats on display during the Miami Boat Show, February 15-19th.